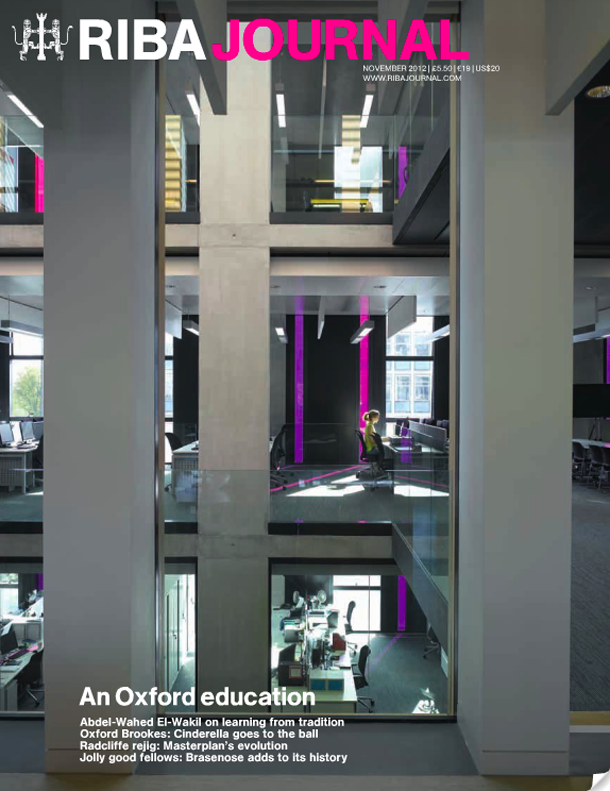 The November issue of the RIBA Journal features a critique of the completed first phase of our project for Oxford Brookes University. The piece by Hugh Pearman reflects on the work to-date and looks forward to completion of the main project towards the end of next year. The front cover of the journal features a view across the atria from the existing building toward the new extension. The article can also be read on line at the RIBA Journal website.